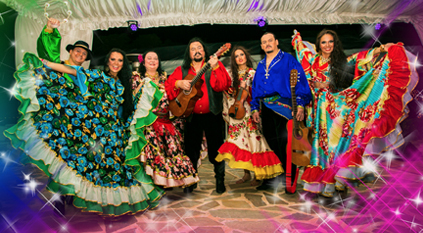 Place the order for Devlale Gypsy Ensemble performance and we guarantee - you and your guests will be enthused! 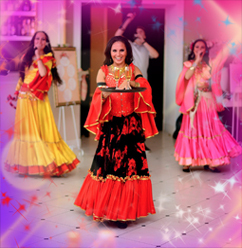 Gypsies will create fabulous fun at your event. 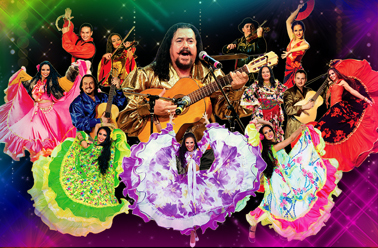 With the artists of Devlale Gypsy Ensemble, the evening party will be unforgettable. 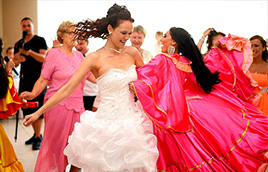 For centuries, the Gypsies have been the biggest joy at noblemen parties and celebrations. 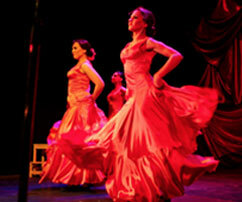 The Gypsy music is joy and sadness, flight of the soul and heart wrenching sorrow. It is a mystery that will be never solved. 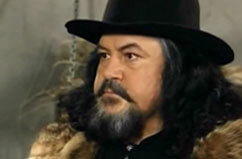 And you will plunge into this mystery together with DEVLALE! 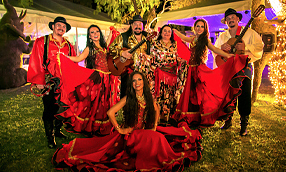 Engage the Gypsy band for a New Year party! FOR CHRISTMAS! FOR THE WEDDING! AT THE ANNIVERSARY! FOR ANY OCCASION! SPECTACULAR HOLIDAY GREETINGS alla zingara – at a price starting from Rbl. 8 000! 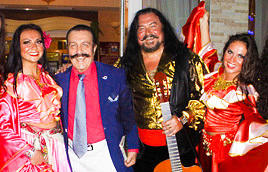 You can also engage the Gypsy band for the whole evening. 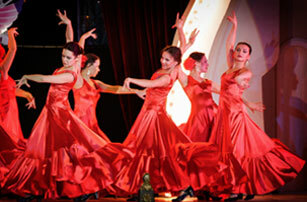 During the whole performance, you and your guests will be delighted by the compelling program. color and sound that viewers start to dance. and all of your guests will be involved. 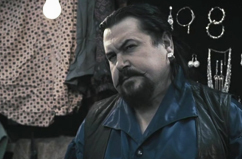 Isn’t anybody willing to feel like one of Roma camp habitants for an instant at least? 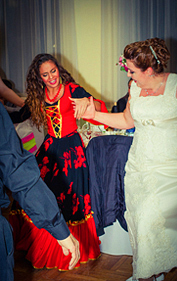 Of course, it’s everybody’s dream - to get into a giddy and fascinating world of the Gypsy art! and you won’t be able to remain sitting! Mixed Emotions, The Best Movie, Soldiers, Alias Albanian, Plain Life, Medical Secrecy, The Loser, The School for Noble Maiden, Seven Wives of One Truck Driver and many more. 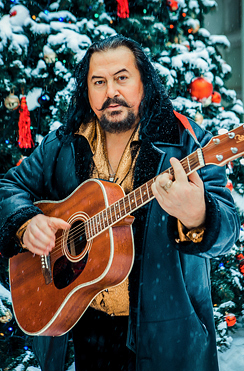 Aleksandr Fursenko is a famous Gypsy folk singer. this sound will remain in your heart forever. 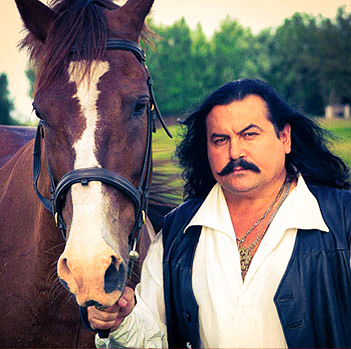 "Secrets of the School for Noble Maidens"
will be filled with the unique flavor of a Roma camp! 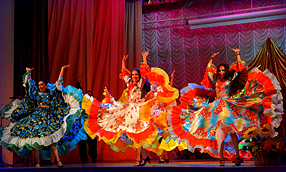 Devlale band performs in Moscow and Moscow region, in resort towns of Russia and abroad. at stadiums and in restaurants, bars and clubs; in offices, civil registry offices etc. 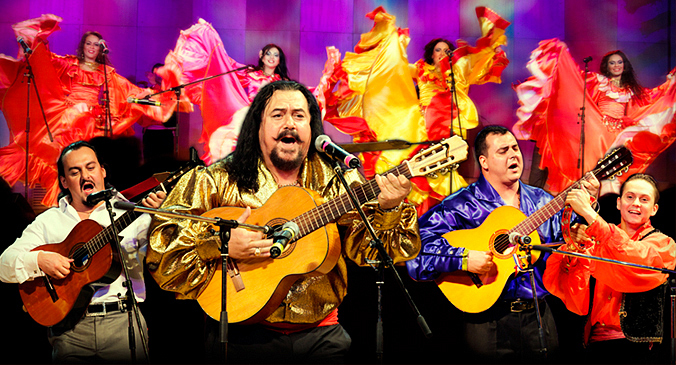 to hold a presentation, to perform in TV shows, TV series, video clips or feature films. and even in apologizing to you special someone! 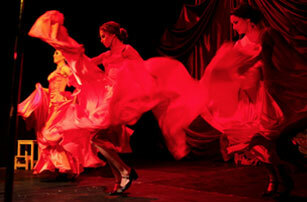 and see all the beauty of the fiery and passionate flamenco dance. 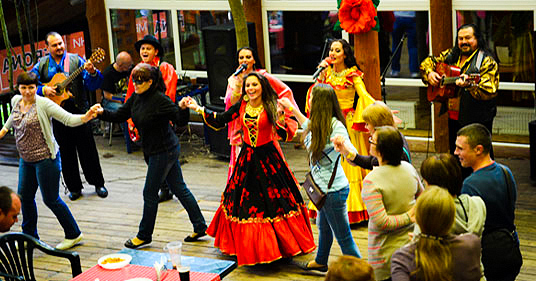 Spanish Gypsy songs will stir your blood and your heart will beat to the rhythm of Spain. enjoy your time, gain energy and experience unforgettable delight! 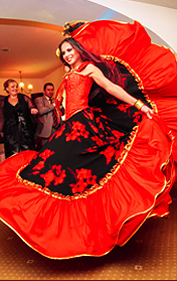 Gypsy wedding, Gypsy songs - you are on the website for need! Watch our video to be sure.